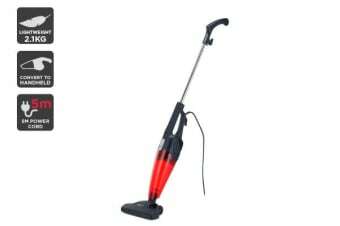 Read customer reviews of the Kogan 2-in-1 Corded 600W Stick Vacuum Cleaner. After a purchase, we invite our customers to leave a product review. The customer reviews for Kogan 2-in-1 Corded 600W Stick Vacuum Cleaner are below. As a elderly couple to move a conventional vacuumcleaner around has become a task while the kogan 2-in-1 stick is very easy to handle and does the job as well as any.